Port Arthur's Pleasure Island, an 18.5 mile long man-made body of land, extends from the mouth of the Neches River on the northwest to the Sabine Causeway on the southeast and is surrounded by Sabine Lake and the Sabine Neches Intracoastal Waterway. Pleasure Island is a place of beauty. Its hills, bluffs, and vistas of Sabine Lake are a delight and pleasure to those who visit. Pleasure Island is where the fun begins! 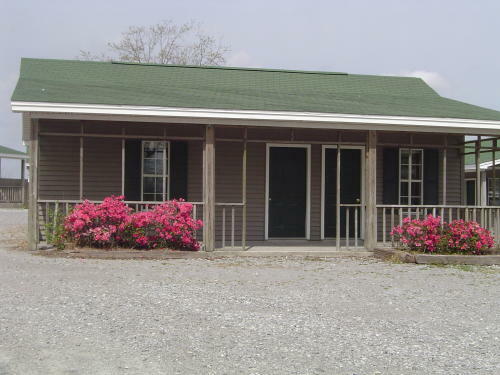 Eighteen Cajun Cabins are located on the bank of the Intracoastal Waterway. Each has one bedroom, one bathroom, and a kitchenette. 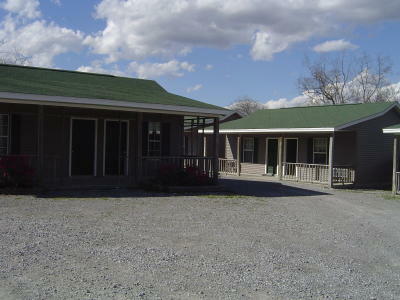 The cottages can be rented weekly or long term. The Cajun Cabins are adjacent to Island Grocery where groceries, daily breakfasts (except Sunday) and lunches, and fuel are available.